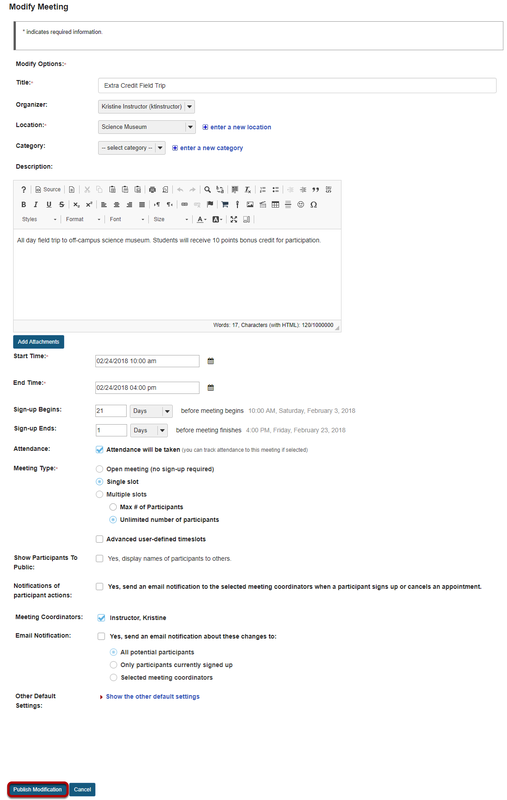 Sakai Community DocumentationSakai 19 User Guide (English) Sign-UpHow do I edit a meeting? Zoom: Edit meeting settings and publish. The information described in How do I create a meeting? will be shown for editing the settings of your choice. 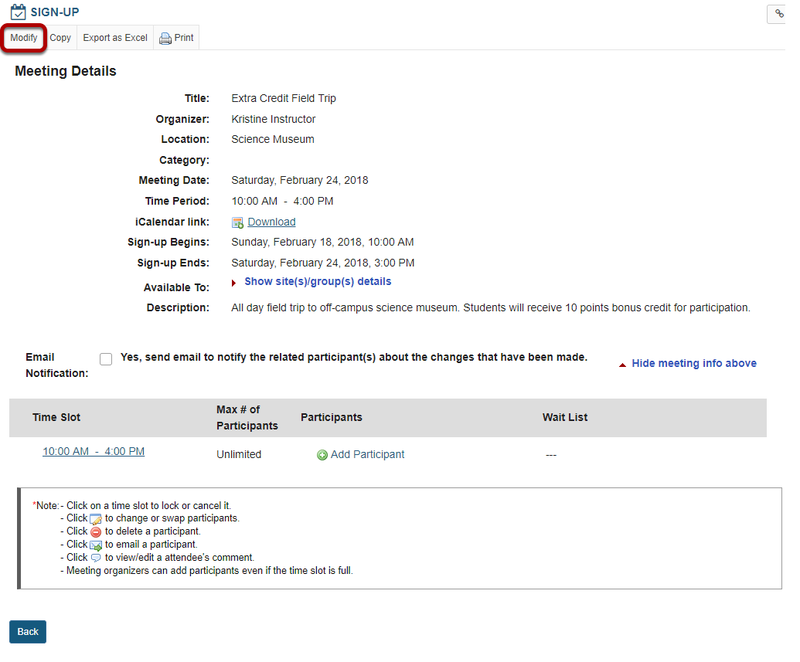 Prev: How do I create a meeting? Next: How do I lock or cancel a time slot?